Can Dietary Supplements Affect the Depo Shot? Drug interactions are a serious matter that can lead to lasting health effects, so whenever you start a new medication, you have to double-check that nothing you're already taking will create problems for you. The same goes for dietary supplements because both drugs and supplements can affect how your body uses substances you've ingested; for example, taking St. John's wort might affect birth control pills. However, Depo-Provera seems to have fewer interactions. Depo-Provera, generically known as medroxyprogesterone, is an injectable form of birth control that you get once every three months. Like other hormonal birth control, the shot has side effects that aren't always desirable, including possible weight gain, headaches and depression. No known interactions with dietary supplements exist, although it is always possible for one to go unreported because people haven't managed to link new health problems to the supplements they're taking. Even St. John's wort hasn't been shown to affect Depo-Provera; while birth control pill users generally know to avoid taking St. John's wort while on the pill because the supplement can lessen how well the pill works, no connection has linked St. John's wort and Depo-Provera. It is, however, recommended that Depo-Provera users take dietary supplements to compensate for one of the shot's side effects. The medication causes bone loss, possibly by depleting calcium from the bone. While research shows the loss is potentially reversible once you stop getting the injections, it hasn't proved that bone-density levels will recover in all users, and in fact showed the user's age could affect how much of the bone density came back. A 2002 study published in "Epidemiology," which followed users and non-users for three years, found that users who stopped taking Depo-Provera recovered enough bone density to match that of non-users after 2.5 years, if the users were older than 21 years old. Women under 21 did not recover as much, though the researchers note this may have to do more with those subjects having lower bone density levels to begin with. Typical advice given to new Depo-Provera users is to take calcium and vitamin D while they're using Depo-Provera, although the McKinley Health Center at the University of Illinois at Urbana-Champaign, says no studies actually prove this will maintain bone density. Other than the possible depletion of calcium while on the medication, no known interactions exist between Depo-Provera and calcium and vitamin D, at least in D-3 form. Just because no known interaction exists does not mean that a dietary supplement won't affect your use of Depo-Provera. One of the difficulties in determining if there is an interaction is that someone experiencing health problems might not make the connection between the shot and a supplement that they usually take, or one that typically doesn't cause problems when they do take it. Always speak with your health care provider to double-check that no new interactions have been discovered. “Epidemiology”; Injectable Hormone Contraception and Bone Density: Results from a Prospective Study; D. Scholes et al. 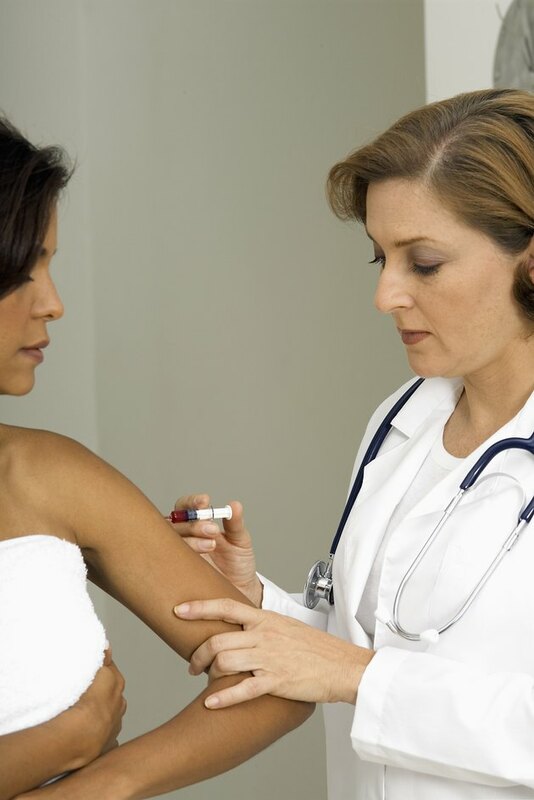 McKinley Health Center: What is Depo-Provera® IM and Depo-subQ Provera?